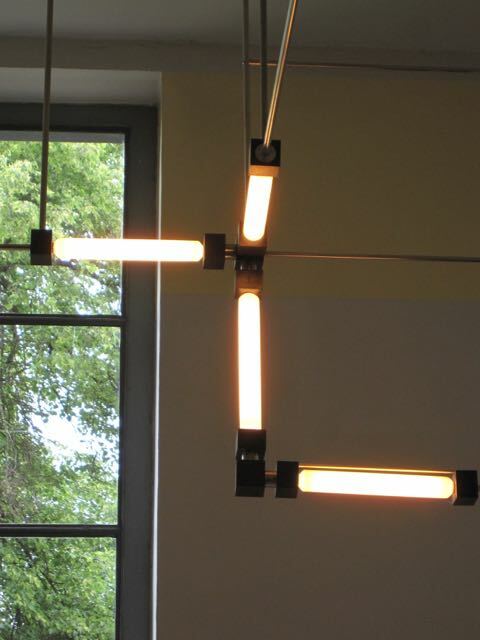 The Bauhaus architectural movement started in Weimar Germany. In 1860 an art school was started by the Grand Duke Carl Alexander, the school later went it’s own way and distanced itself from the court. Plein air painting was big and the area was home to some of the great German impressionist painters. In 1920 a decorative arts school was set up by the Grand duchy and a Belgian, Henry van de Velde was appointed it’s leader. The school closed in 1915 and Van de Velde had to leave Germany just before the outbreak of the first world war in 1917 because he was a foreigner. 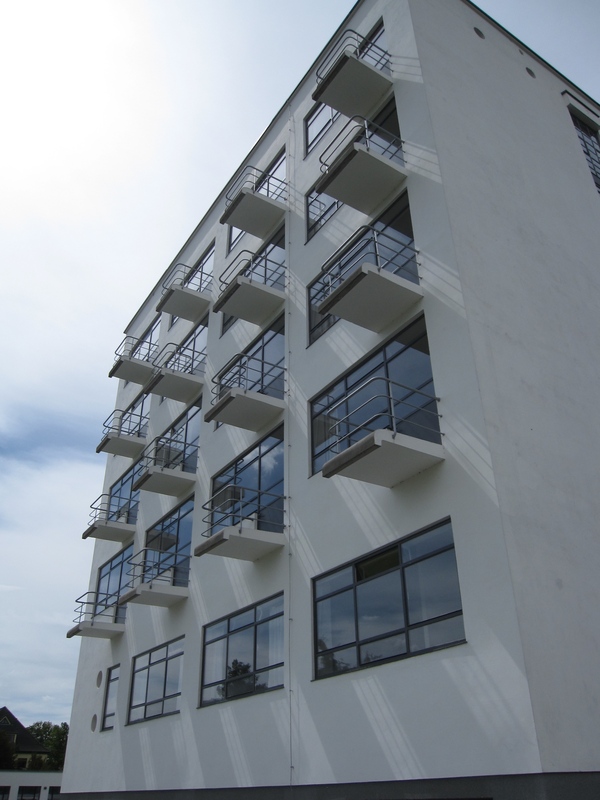 In 1919 architect Walter Gropius (1883–1969) with the support of the local government of Saxony-Weimar-Eisenach founded “Das Staatliche Bauhaus”. 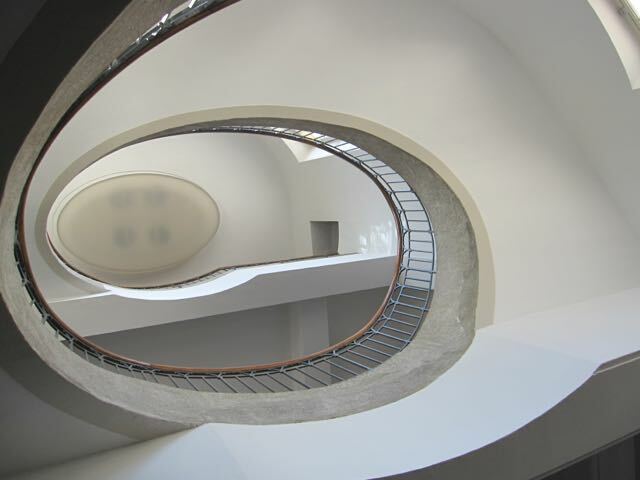 The general idea was to unify all ways of art and design in order to incorporate it into architecture. Gropius left the Bauhaus University in 1926 and moved to Dessau, more or less forced out by the rise of the National Socialist party. 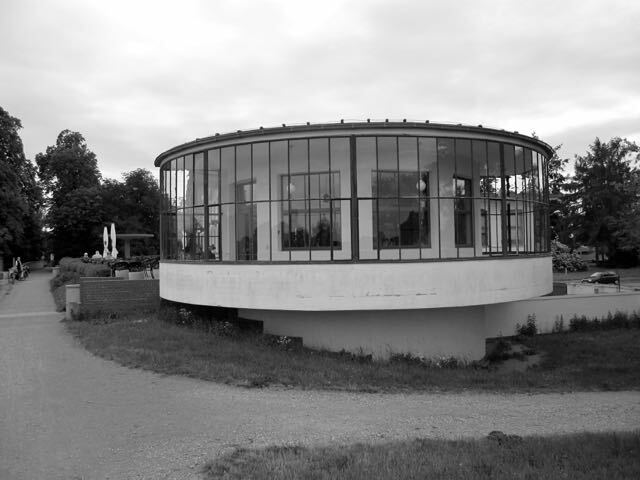 There is really only one ‘real’ Bauhaus designed original building in Weimar, most buildings can be found in Dessau, unfortunately some were destroyed in the second world war, later rebuilt according to original spec’s, but still a shame. 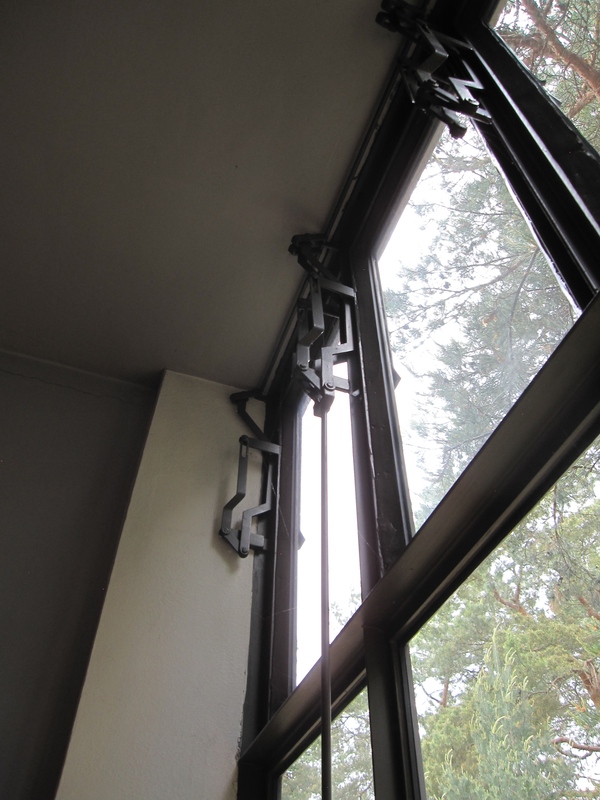 The buildings are very functional and incorporates new ways to open windows to produce airflow in the buildings to make them comfortable. 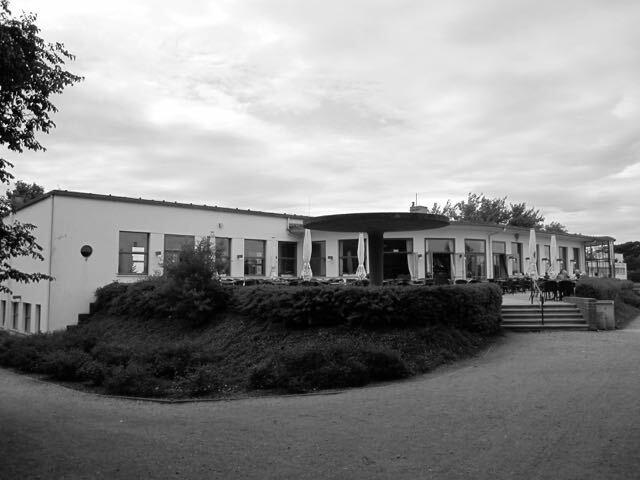 One of the more eye pleasing and location perfect buildings is the Korn Haus, which was built in 1929-30, commissioned by the city of Dessau and is still used as a restaurant. It sits on the bank of the river Elbe and is just the perfect spot to enjoy a meal and a beer or maybe just an ice cream. 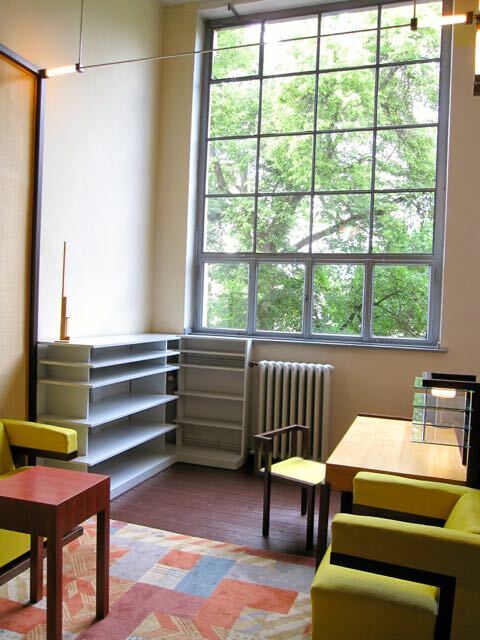 Below are some pictures from the Bauhaus University in Weimar. 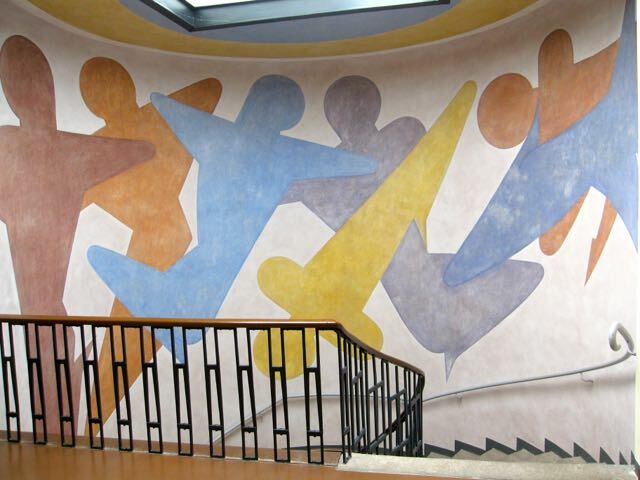 Mural in the stairway leading up to the floor where Walter Gropius office was at the Bauhaus University in Weimar. By Oskar Schlemmer (1888-1943) done in 1923. Looking down from the top of the stairs at the Bauhaus University building in Weimar that housed Walter Gropius office. 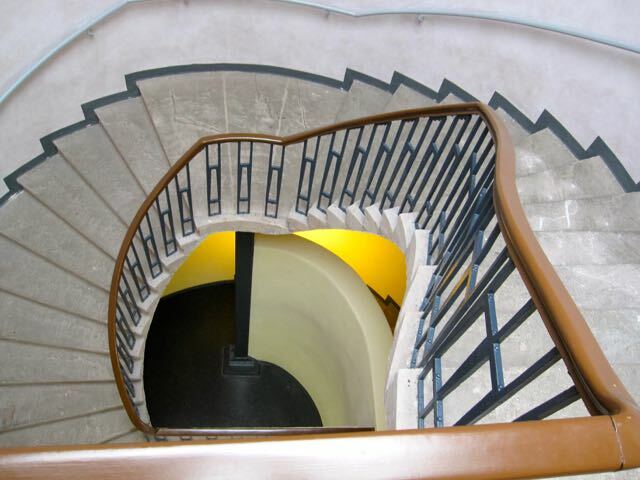 Art Nouveau stairs in a different building at the Bauhaus University in Weimar.